Installed in 2001, an Instron push-pull fatigue test machine allows results from our Finite Element Analysis (FEA) and material evaluation to be verified. This machine is used to create a closed loop design process and the result is a least cost component. 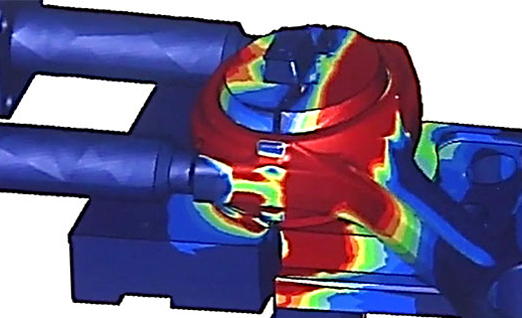 Combining FEA with the knowledge gained through physical testing, connecting rod design can be achieved that matches actual size and strength to exact engine and approval-test criteria. A critical aspect of conn-rod design is material selection. The physical testing enhances our ability to embrace material reaction to the rigours of connecting rod requirements. Higher steel strengths lead to lighter components and reduced noise, improved fuel efficiency vibration and harshness (NVH) within the engine and are all major considerations. Find out more about Prototype Machining and how important it is to Albon on our Prototype Machining page.